Rich and beautifully balanced, our classic Pinot Noir is a seductive taste of our organic vineyards. 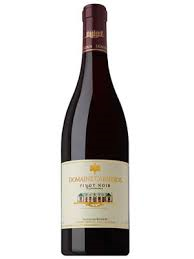 Luscious notes of black cherry, currant, chocolate, toast and clove end in a long, silky finish. The fruit was gently de-stemmed, leaving many whole berries. A cold soak followed for five full days prior to fermentation, which took nine to twelve days in small open-topped vats. The fermenting must was punched three times a day to heighten color and flavor development. After pressing off, the finished wine went directly into French oak barrels where it rested for ten months until bottling.